If you’re in Sofia and you have a free day and wondering where to walk, we strongly recommend you to jump to Giginski monastery “Sv. Sv. Cosmas and Damian”. He is also known as Tsarnogorski monastery because it is located in the Cherna gora mountain. There you can take a rest and enjoy the fresh mountain air and try curative living water of the Holy Spring. 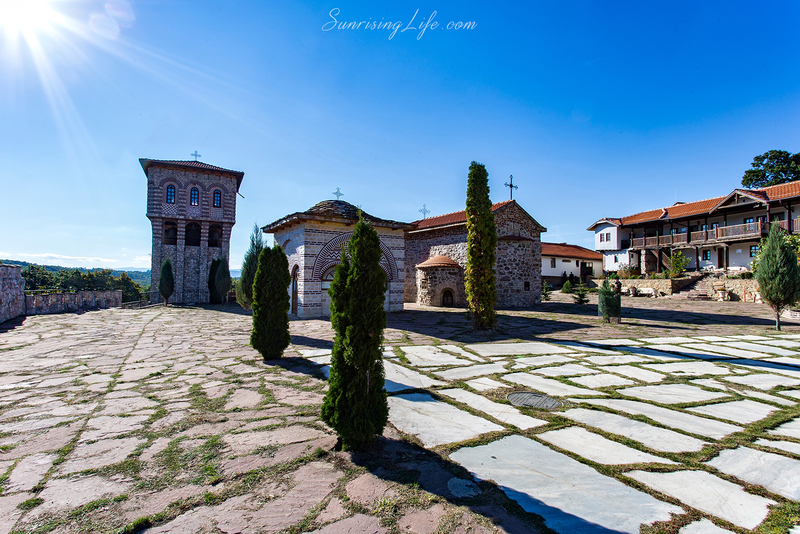 The Giginski monastery is located about an hour away from the Bulgarian capital – Sofia. It is situated about 6 km south of the small village Gigintsi, Breznik is 21 km to the northeast, and the regional center of Pernik is 32 km east and 60 km from the capital – Sofia. Tsarnogorski monastery is at the foot of “Kitka” peak. You can get there most easily and quickly by car – from Sofia through Lyulin highway. It goes past the city of Pernik, then in Breznik and Noevtsi. The last village you will pass is Gigintsi. There you can leave your car and walk to the monastery on a nice asphalt road. Note that you have to take over 250 m displacements for 3-4 kilometers. If you have time and want to move take a walk. The road is very picturesque. Otherwise, you can go with the car to the monastery, where you can park. The monastery has led its story from the distant the XI century, from when they dated the oldest monastic buildings. “Sv. Sv. Cosmas and Damian” possessed many properties dating back to the Bulgarian tsars. During the Second World War the place was a concentration camp, and then in the pioneer camp. 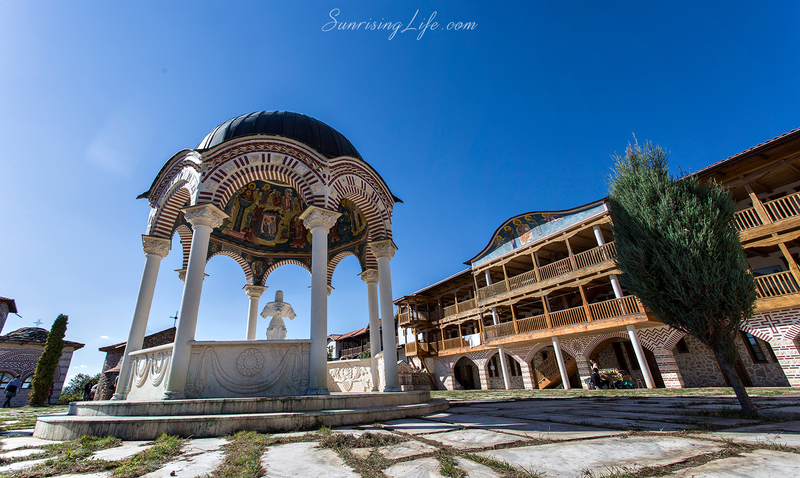 Despite the destruction over the years, in 1976 Giginski monastery has declared a monument of culture. The monastery has a large sunny courtyard and many buildings – building in where the monks live, church, bell tower, and shops. From shops, you can buy homemade jams, honey, and spices, which are the work of the monks living there. In the courtyard, there are benches, fountains, and flowers. There seemed like the time has stopped and you can fully stay in peace and tranquility. Listen to the song of birds or simply to rest, leaving all your cares away somewhere. If you stay for a few hours you might be able to hear the song of the bells. On the territory of the monastery, there is a Holy Spring. The local trust that it is healing. Hundreds of people go there to drink the living water of hope and faith for healing. People believe that the water enhances the immune miraculous system and that treated lesions of the nervous system, and even infertility. Water rises between the roots of an old oak in the courtyard. I should mention that the word “oak” in old Bulgarian language means “healthy”. So if you do not have free time in a day off and you don’t want to stay home go to this beautiful place. 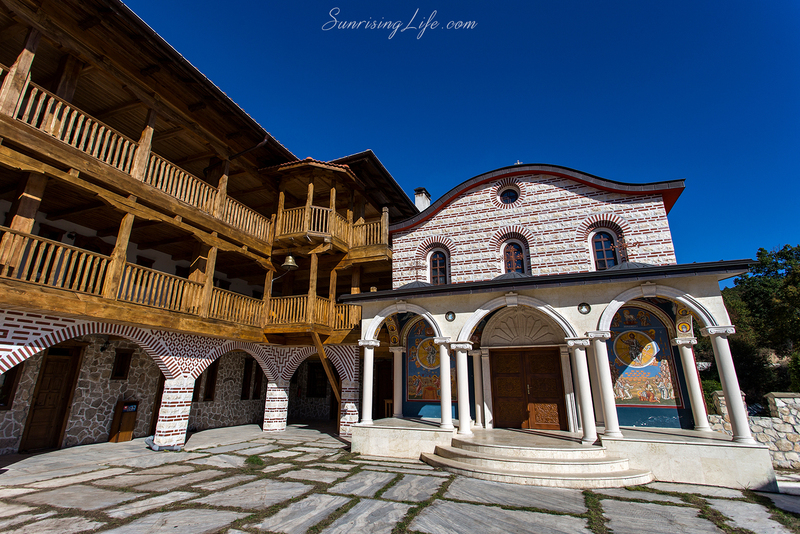 Admire the nature of clean air and the tranquility that you will find nestled in and around the Giginski monastery. For more interesting ideas for trips, you can follow us on FACEBOOK.